Our five senses are our world. They appear to reveal to us all that there is in the world. Really our senses are very limited. We conceive that they tell us the entirety of reality, but the truth is that we miss out on virtually everything. 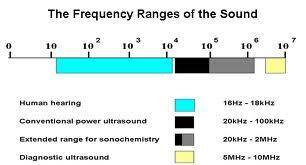 Our ears can only process the blue part of a scale of sound energy that extends infinitely. Our other senses are equally limited. Our senses do not relay the totality of the world. They are merely apertures that give us a glimpse. Like staring at a garden through a small crack in a fence. With such small apertures we are essentially peeping at the world through a pin prick. This creates illusions and supports false thoughts about who and what we are, and what is or isn’t real.